Spain makes plea for EU aid for troubled banks Ambrose Evans-Pritchard, Telegraph. I should write up something on Spain, but I’m on the verge of a jet lag induced face plant (second time I’ve had it worst going west, go figure). Bank staff costs take bigger share of pot Financial Times. Quelle surprise! Arms races and the real encumbrance problem FT Alphaville. Shorter version: the more secured transactions, the more depositors are at risk. Which is why allowing banks to put derivatives into the depositary is totally batshit. Did JP Morgan Violate the Volcker Rule? Lee Sheppard, Forbes. Sheppard parses the rule. Meet the JOBS Act’s Jobs-Free Companies Wall Street Journal. As foretold. And the worst is yet to come. IA. “An Iowa State University scientist found evidence that sick hens at farms owned by an Iowa egg producer were ‘almost certainly’ laying eggs contaminated with salmonella months before one of the nation’s largest outbreaks of food-borne illness came to light, newly released records show.” “Iowa City forms new plan of attack for landfill fire” which should have been out this week (TTH). MI. Why don’t Detroit journos write about Cotter’s fraudulent ballot qualifying signatures from the district perspective? PA. “John Perzel, an R from Philadelphia and Bill Deweese, a D from Greene, share the distinction of both having served as Speaker of the Pennsylvania State House. … Now they’re both at Camp Hill state prison, and they’re sharing the same cell.” Sweet! WI. Pierce: “What we have here is a fight, out in the open, without nuance or euphemism, between two ideas of what self-government should look like, who it should serve, and how, and how wide the parameters of participation will be. That is serious business. It ought to be contested fiercely and to the last and without cosmetic conciliation.” Reuters head: “Walker’s win smacks Wisconsin protesters who started recall.” “[I]t’s worth pondering how similar the intensity of emotions are on each side of the divide. That anger won’t be relieved after Tuesday.” Chuck Todd: “Most important result from the exit poll: the 60% who said recalls are ONLY appropriate for OFFICIAL misconduct.” Walker: $30M. Barrett: $3.9M. (“We did it with wealth.”) “Please, please, please, remain engaged, remain involved because we will continue to fight for justice and fairness in this city and this state.” (And we get?) Activist Colette Brown: “Recalling Walker is important, but it isn’t good to lose momentum by diverting all energy into the recall campaign to elect a Democrat” (dcblogger). This entry was posted in Links on June 6, 2012 by Yves Smith. 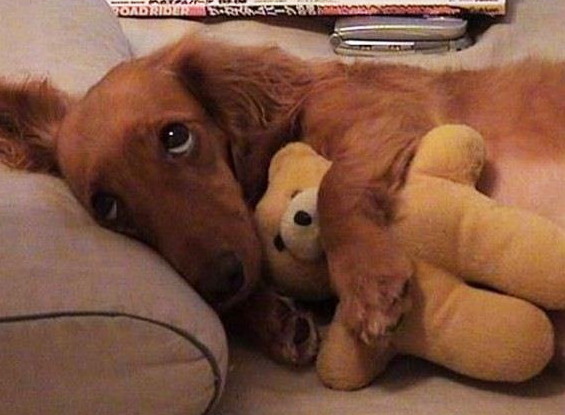 In times like these, everyone needs a Teddy bear …. I can’t think of a single thing we did right in the bank bailout of 2008, can you? The FT’s chart showing the RISE in overall employee (read: high level executive) compensation says it all. Elvis has left the building. These are no longer “capitalist” institutions at all. More like anarcho-syndicalist communes in which ALL profits get skimmed off by senior executives. AND on top of that, they no longer function at all as a dispenser of capital to actual productive enterprises that actually drive growth, produce jobs, and pay our national bills. UTTER and complete failure. This is what it looks like. I couldn’t agree more. And we must conclude that this is the result intended. Our politicians could change it in an instant if they had the least intention of serving more than the (less than) 1%. We fought WWII the first time this power-grab corporate mentality parasitized the democratic machinery, but this time…. People should be aware that humanity has always been prone to factionalism/tribalism – even for the sake of factionalism – since probably the dawn of time. For even the most arbitrary of reasons, humans can be made to turn against one another and it inevitably will have terrible consequences. Looking at the pointless and inane “red versus blue” games we play in the U.S., it would be informative to note how such “color” games nearly brought down an entire empire over 1,500 years ago. Originially in the Roman Empire, people would support their favorite athletic teams by wearing their team’s colors, etc. By the time of the Byzantive Empire – 6th century A.D. – only the Blues and the Greens existed. This factionalism was basically THE driving force of society and considered more important than anthing else confronting the society as a whole. Everyone – from the Emperor to the street thug – was either a Blue or Green. Eventually this spilled over into riots and the Emperor had to flee for his life. Only after the deaths of 10s of thousands of people was order somewhat restored so that Justinian could rebuild Constantinople including the Hagia Sophia which had been burned by the rioters. Something to keep in mind watching the manipulation of the American bastion of the brainwashed masses. Speaking of propaganda, here’s a socialist take on the waste of money the Queen’s jubilee was yesterday. Wouldn’t want to spend any of that money on your subjects, eh? What about Europe, where Eurocrats in Brussels are attempting to manipulate the masses into believing that 17 tribes (and many tribes within those 17, as in Italy and Spain) are in it together. The inexorable progress of mankind has been to split into more and more tribes. Why would Soros’ “small group of far sighted statesmen” believe that they could defy history? Congratuluations, national Democratic Party and D.C. union bureaucrats! Mission accomplished. You managed to co-opt and divert a vibrant people’s movement and lead them to defeat and despair. The One Per Cent appreciates your efforts along with all the rest you’ve done over the past four years to discredit and weaken the Left. It was a particularly nice touch the way that President O put on his walking shoes and tweeted his support for the effort. His sense of irony and sarcasm generated a lot of giggles at the last Bilderberg get-together. Your reward awaits you not in heaven but in cushy jobs working for the Plutocracy. When this happens (and no one is prosecuted) or when Western banks let “rogue” dictators store assets with them, I have to wonder whether it’s “by design”. It gives the West leverage over the depositor. The West can take the assets any time it wants. Now, why would a drug dealer or disfavored dictator bank with us, knowing what could happen to their money? I have to suspect a quid pro quo. Human entities have mammalian emotional predispositions as THE DEFAULT basis. This is practical Nature’s default for the a species because b i o l o g i c a l survival is the priority (that intellective thingy is recent and relatively untested). It is the mammalian predisposition for polarized emotional response to stimuli (especially discomfitting stimuli) that is at the basis of the socialized human’s emotional tendencies toward polarization of sentiment in relation to cogent intellectual conceptions. The purpose of a true spiritualization process (irrespective of denomination)is to aid an individual perform one’s own, objectiv, psychological evolution within their life time. Here’s where I am frustrated by the externalization of cause for regressive human sentiment to an external devil/satan. While the allegorical device may have utility for story telling at an early level of development, the individual in the cours of their maturation must finally acknowledge, be responsible for, and address that the “devil” is a manifestatiom of their own, as-received, basis nature. That every feasible social protocol for authentic and objective emotional/spiritual development for the individual is fragmented and crushed under the modern commercial culture gives little hope for other than the graphic and gory repeats of human history, as polarization marches on. Had to give you a thumbs up on this. As I see the situation unfolding, unfortunately, I can only predict more polarization in the immediate future. We will, however, see some real change at last (if only it wasn’t going to be so horrible). And with it, plenty of opportunity for individual spiritual development. Once we get to the other side, good things will be able to happen again in our material world. Be assured of one thing: whichever candidate you choose at the polls in November, you aren’t just electing a president of the United States; you are also electing an assassin-in-chief. The last two presidents may not have been emperors or kings, but they are certainly one of the nightmares the founding fathers of this country warned us against. Americanos face a degrading choice between the MIC [Military Industrial Complex] thug Mitt ROFLney and the drone assassin Hussein Obugger, whose book-length kill list makes the Carlos the Jackal look like a boy scout armed with a pocket knife. If you vote Depublicrat, you’ve got blood on your hands. Here’s one Londoner who was not celebrating the Queen’s Diamond Jubilee. to be House candidate by a paltry 1%. White Working Class in your district you would have won. When will someone stand up for us? who will sell us out in a different manner. Touch Screen Machines?, Paper Ballots? You want a definition of evil, and pure avarice? There it is. I know two people who never missed a house payment and were strung out by Wells Fargo through FOUR so-called modifications. They were told to pay the modification arrangement for 3 months, to make sure they were able to handle the modification (even though they had never missed a mortgage payment!). Both of my friends were denied modifications ALL FOUR TIMES, after making their modification payments, on time. When they asked Wells Fargo why they were turned down, they were told “your modification does not qualify under our investor’s guidelines”. When they asked what the “guidelines” were, they were told that the guidelines were “confidential”. Both of my friends spent down their entire savings accounts and ended up in foreclosure. They both had families and had been recently downsized to lesser-paying jobs, thus their need for a modification. Neither friend was a home “investor”; they were just solid citizens who had hit on hard times and needed an adjustment. Nether friend asked for a reduction in their loan; all they wanted was to extend the loan out for another 10 years, to reduce their payments. Wells Fargo is a criminal institution, run at the top by criminals, and spoken for by glib professionals who should be forced to spend a week in a public pillory. I closed my Wells Fargo checking account several months ago, and urge all others to do the same. I wish wells Fargo nothing but the worst, and hope that their entire group of senior executives nothing but bad luck, for the rest of their lives. Not only are they as you describe but they are part of the Narcodealing in America. It is possible to write something funny about Spain just copy-pasting statements issued lately by government members about to bail or not to bail, that is the question my friend. Close all accounts at TBTF banks, it can’t be shouted enough. I agree with Mr CEO, the Walker recall was fatally flawed. It got channelled into a traditional Republican-Democrat contest, and as soon as that happened all the energy of the original protests went away. What voters were left with was a senseless reprise of the original election choices of Walker and Barrett. Well, senseless from their point of view, but there was a kind of logic behind what happened in national terms. The national Democratic party probably liked having Walker around. He was the scary Republican they could point to and use in fundraising and GOTV campaigns. At the same time, they were repelled by the populism of the original protests. They saw it as unpredictable and not something they could control. So once the recall was on, the state Democrats were not encouraged for a second to respond to that populism. And they didn’t. They went with the very candidate that voters had rejected in the original election. Voters wanted change they could believe in, and the Democrats delivered to them more of the same. But that was not the end of it. Walker was a cause célèbre for Republicans and outside money poured in to defend him. And the national Democratic party had no problem with that. In fact, if anything, this is what they wanted. They saw money going to Wisconsin as being diverted from other races. They in turn spent very little capital on the Wisconsin race, either in terms of money or people. I’m not saying that their reasoning was correct but I think Obama and the Democrats saw this as a no lose situation. It diverted a lot of Republican resources. If Walker lost, the Democrats got a cheap victory and a traditional Democrat as Governor. If Walker won, nothing really changed. They would still have him to kick around (even if the recall legitimized his tenure) and they could blame the loss on the populists and progressives. As usual, the real losers on Tuesday were the ordinary people of Wisconsin, but in Democratic-Republican contests, ordinary citizens are always the losers. So no change there either. The latest in food politics!